Mindfulness has come a long way from its days as an obscure Buddhist meditation technique known only to monks and a few New Age enthusiasts to what it is now-one of the hottest new spiritual practices of our day. It's being used by people of all ages, from all walks of life, for everything from gaining self-awareness and inner calm to treating PTSD and other anxiety disorders. Corporate executives, Hollywood stars, medical doctors, teachers, secretaries, and even clergy are avidly embracing it. But what exactly is this practice? Where does it come from and how did it become so popular, so fast? And what about all the media hype surrounding its much-publicized effectiveness for our mental health and well-being? Even more important, is this practice compatible with Catholicism? 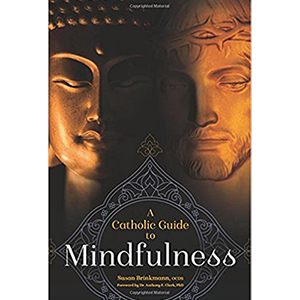 A Catholic Guide to Mindfulness attempts to answer these questions in a concise but compelling exploration of one of the most intriguing psycho-spiritual movements of our time.